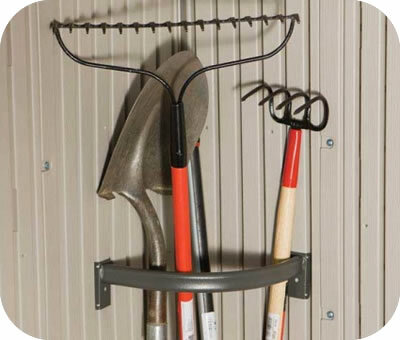 Organize your garden tools in the corner of your Lifetime shed with an easy to mount tool corral! Not compatible with 7ft Lifetime sheds. FREE w/ Select 8', 10' and 15' Sheds! 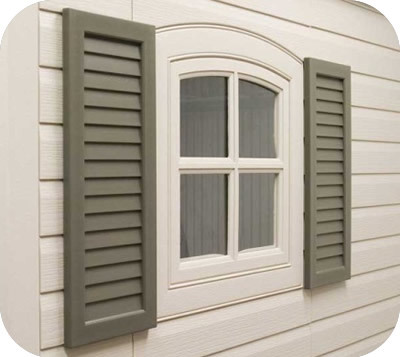 Add some style to your windows on any 8 ft or 11 ft wide Lifetime sheds with a pair of dark brown plastic window shutters! Live in an area with winter snows? 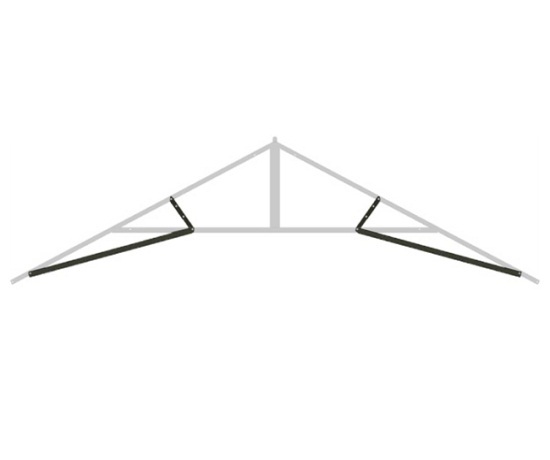 Increase the snow load from 23 lbs psf to 30 lbs psf on each truss of your 8ft Lifetime shed. Get heavy winter snows? 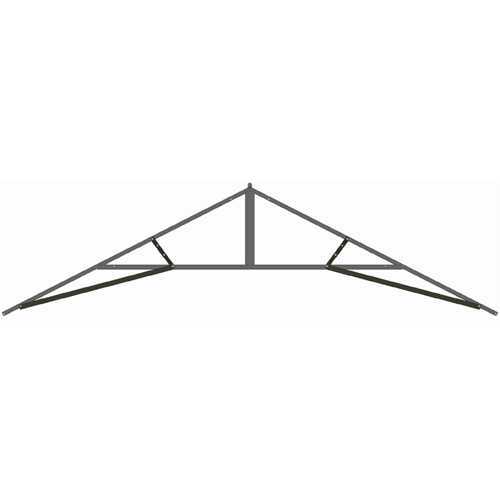 Increase the snow load of your Lifetime shed from 16 lbs psf to 30 lbs psf on each truss with our snow load kit! 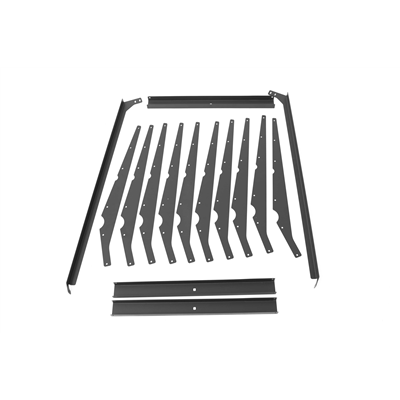 This Snow Load Kit increases the roof weight of Lifetime sheds from 23 psf to 30 psf. 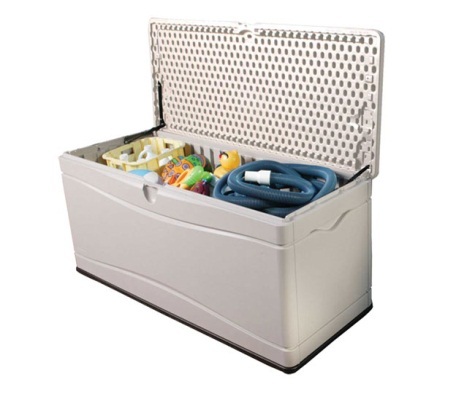 Introducing our Lifetime Sheds Garden Caddy Kit! Organize all your gardening tools in one spot. Easily transport your tools from your shed to the garden! Buying a new plastic outdoor storage shed is all about organization. 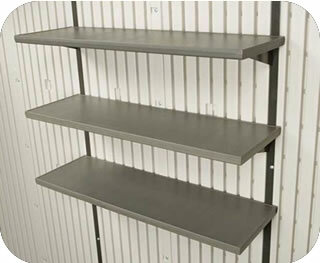 Don't forget to add some shelving to your new Lifetime shed kit! Live in a heavy snow area? Increase the roof load capacity of your 15ft Lifetime shed to 30 lbs psf by installing a Snow Load Kit. 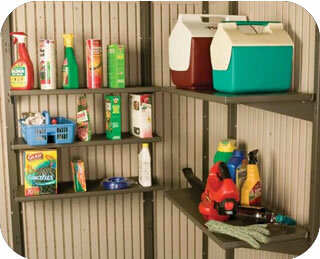 Buying a new plastic storage shed is all about organization. Don't forget to add shelves to your new 11ft Lifetime shed! Five shelves included! 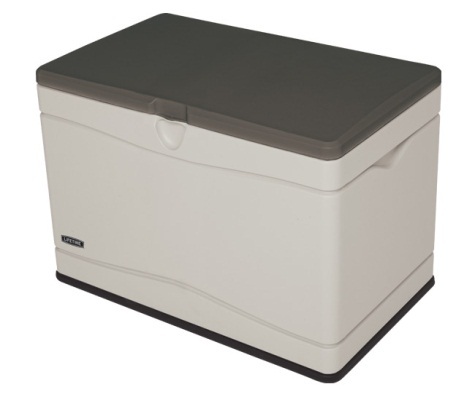 Our Lifetime Sheds 80 gallon plastic deck storage box is excellent for smaller storage needs. Use for pools, toys and yard tools! 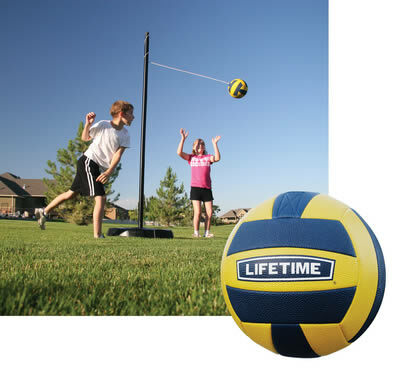 Our Lifetime tetherball playset is portable, simply add sand or water to the base. Add a tether ball set to your backyard playground today! 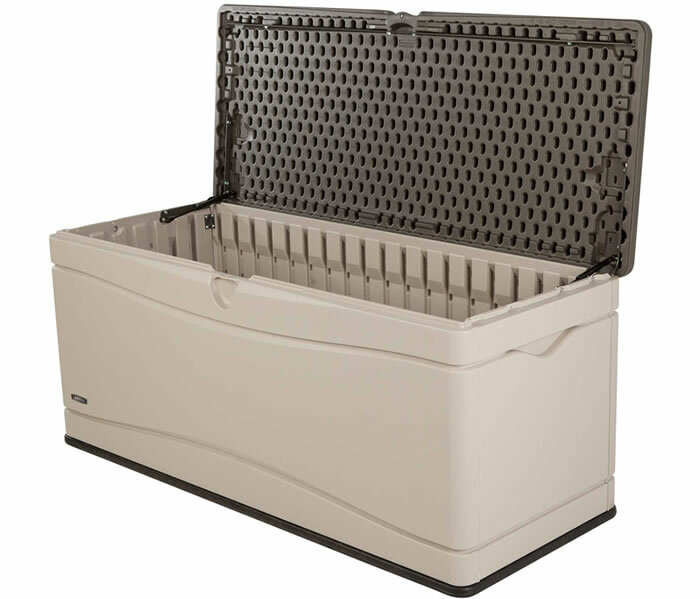 Our Lifetime Sheds 80 gallon desert and brown storage box is excellent for smaller storage needs. Use for pools, toys and yard tools! 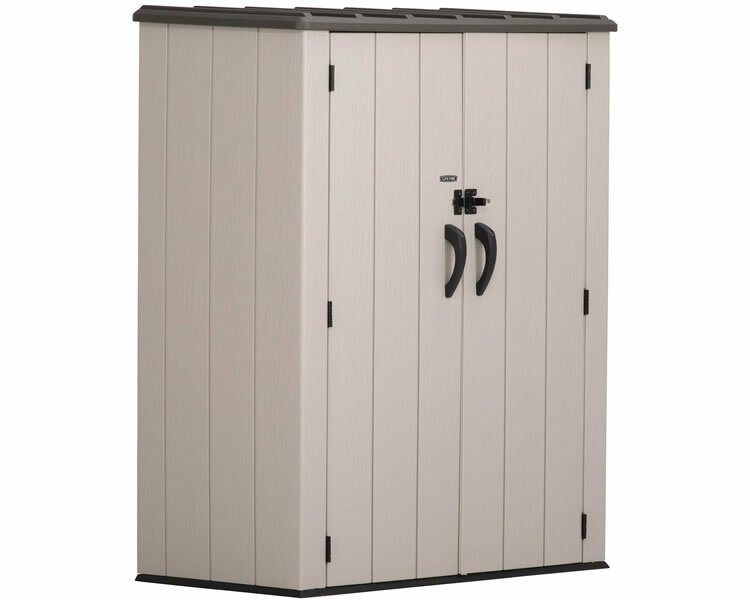 Our Lifetime Sheds 116 gallon simulated wood, plastic storage box is excellent for outdoor storage. Use for pools, toys and yard tools! 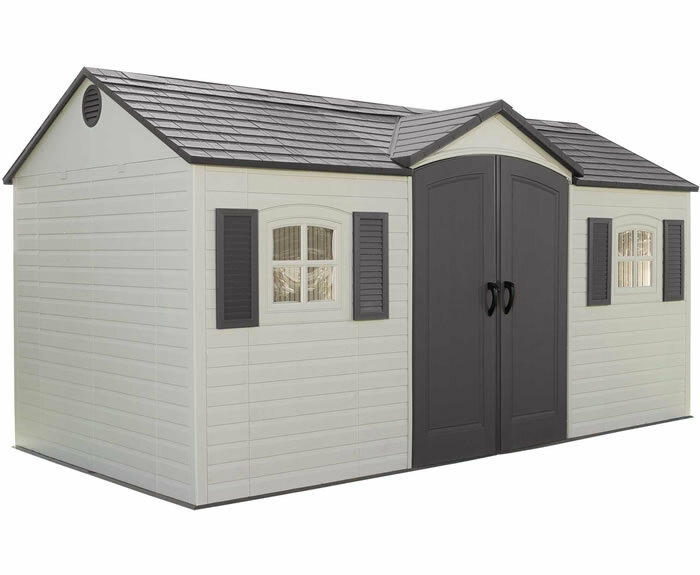 Lifetime Sheds also offers outdoor tools made of the same heavy duty plastics as their sheds! 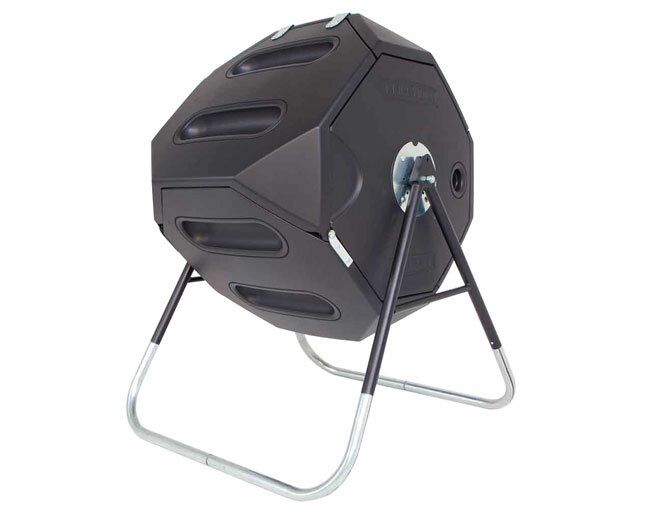 Our Lifetime Composter holds 65 gallons! 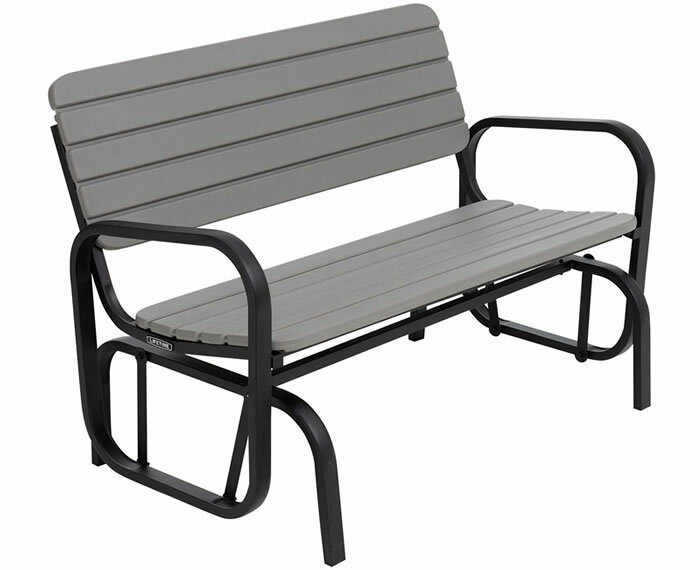 Our glider bench from Lifetime is the perfect addition to any backyard or garden setting! Swings in a gliding motion for optimum relaxation! 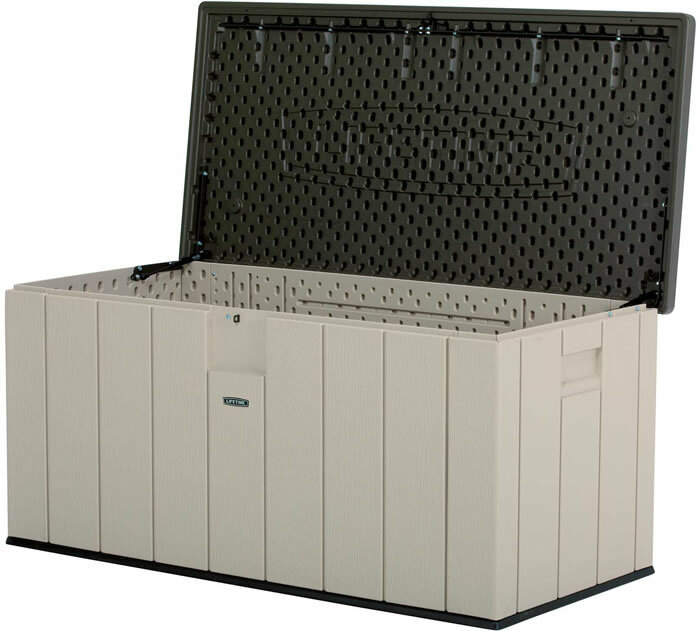 Our Lifetime Sheds 130 gallon deck storage box is perfect for storing pool equipment or many other small backyard storage needs! 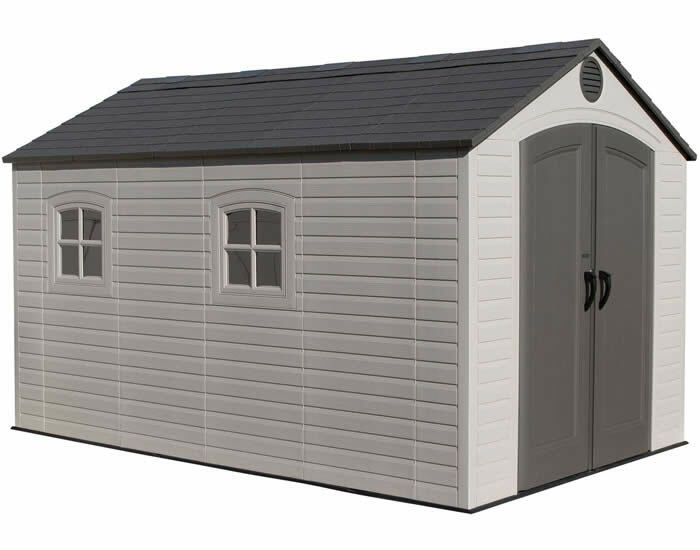 Lifetime Sheds also offers outdoor tools made of the same heavy duty plastics as their sheds! 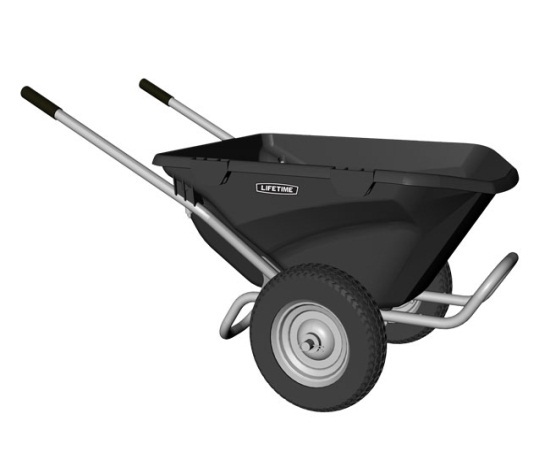 Our Lifetime Wheelbarrow holds 550 lbs! 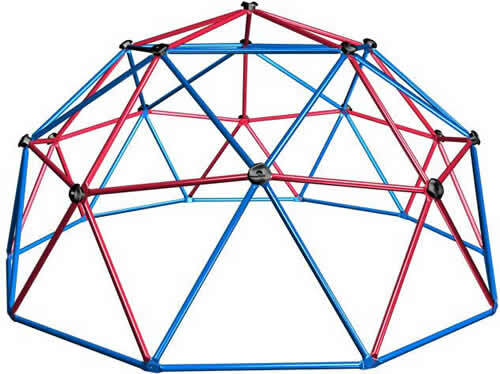 The Lifetime Dome Climber playset has a huge weight capacity of over 600 pounds! Real rock climbing hand grips and steel poles. New to our playground inventory, the Lifetime Dome Climber play set with simulated rock climbing now in earthtone, tan and green! 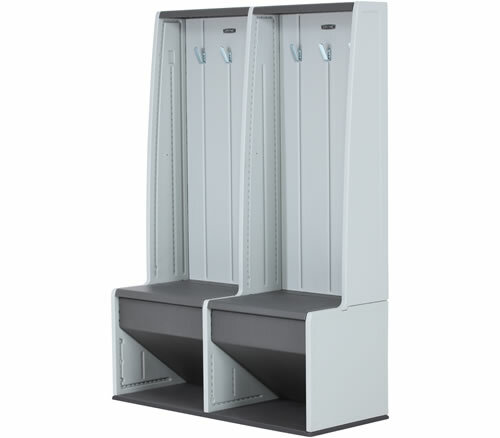 The Lifetime storage locker features built-in hooks and benches, so you can take a seat while grabbing your gear. Allows multiple lockers connected together. 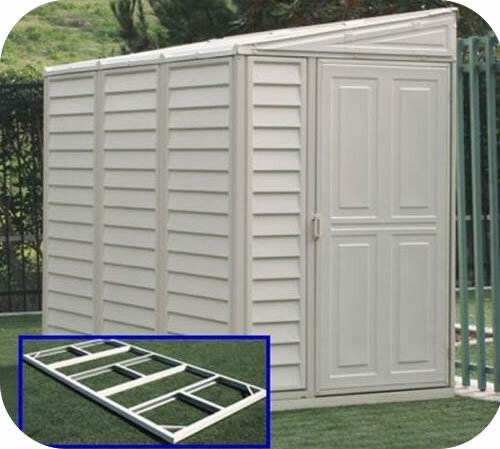 Need to expand your patio storage, but have limited space available? Store your things outside in a Lifetime Storage Box. 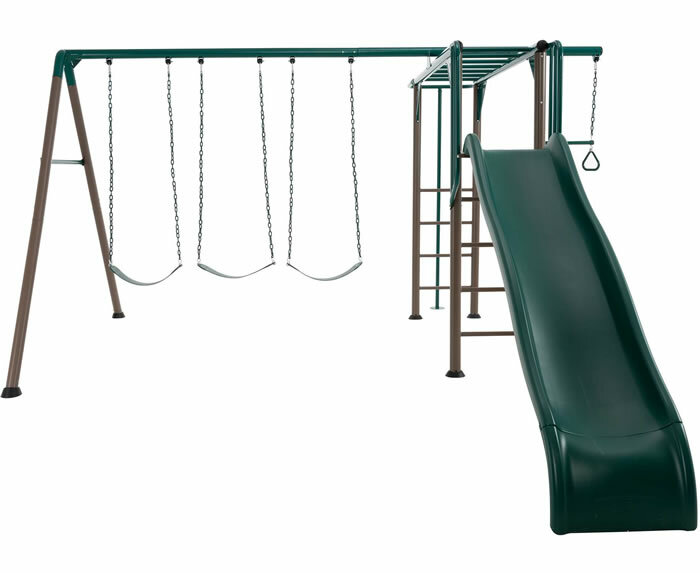 New to our playground inventory, the Lifetime Ace Flyer play set with 2 teeter totters now in earthtone, tan and green colors! 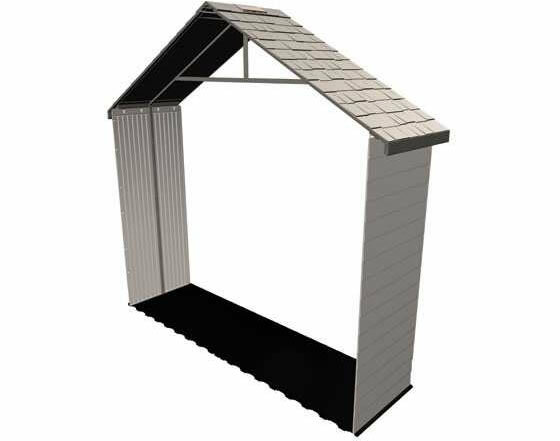 Add this shed extension kit to any of our 11 foot Lifetime sheds to extend your new plastic storage shed out an extra 2.5 feet! 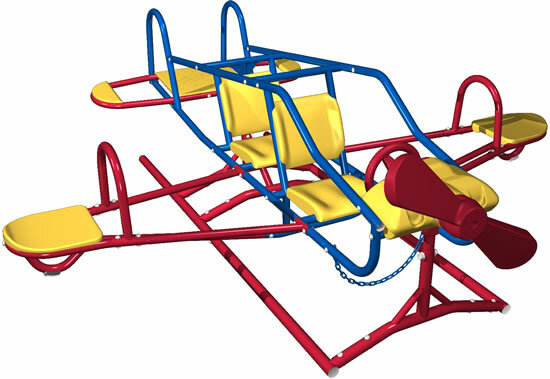 The Lifetime Ace Flyer playset, our most popular playground accessory sold! Let your kids create dreams of flying a real plane with our Ace Flyer! 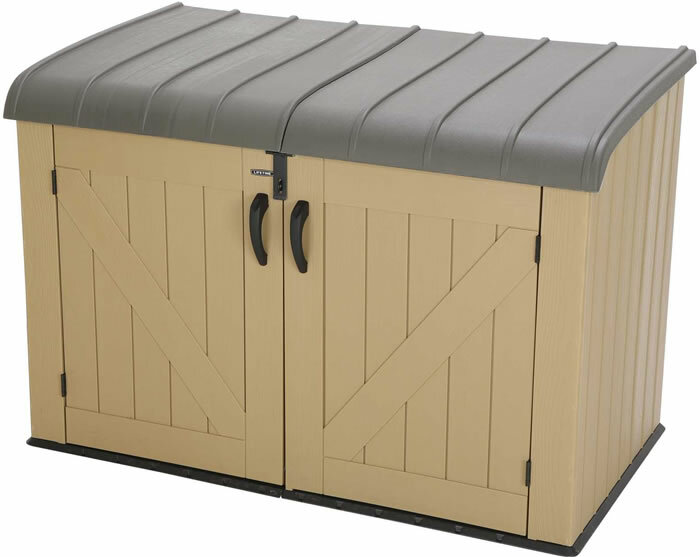 The Lifetime 53.6"W x 27.5"L x 67.7"H Plastic Vertical Shed 60280 is the perfect solution for your smaller storage needs! 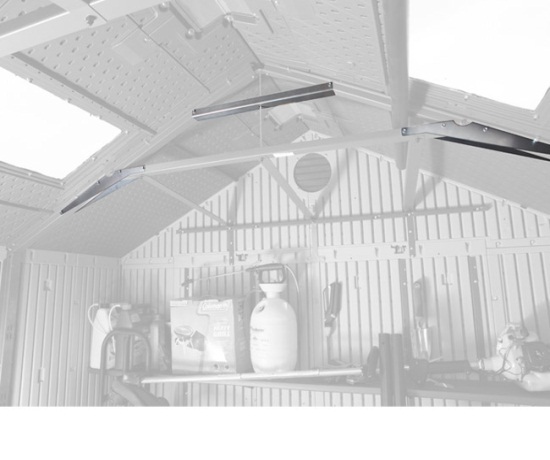 Increase snow load on your 8 ft Lifetime shed from 23 to 30 psf and wind rating from 65 to 90 mph! Only needed in extreme weather areas. 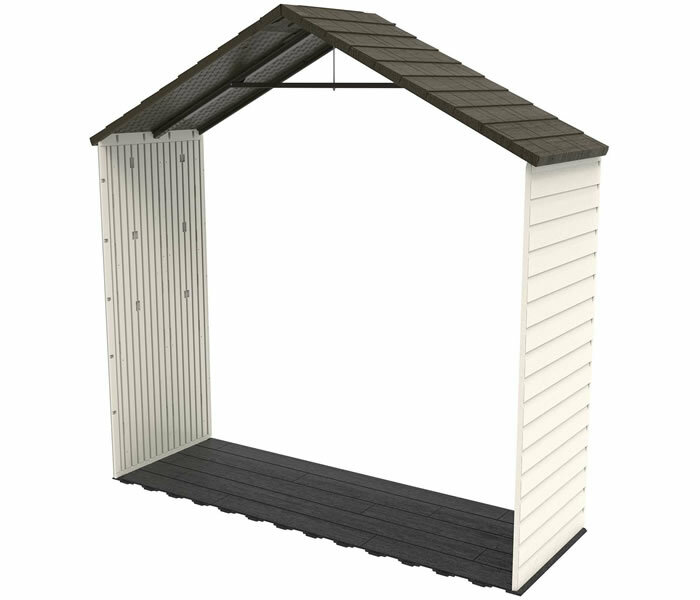 Add this shed extension kit to older previously installed 8 foot wide Lifetime sheds to extend your new plastic shed out an extra 2.5 feet! 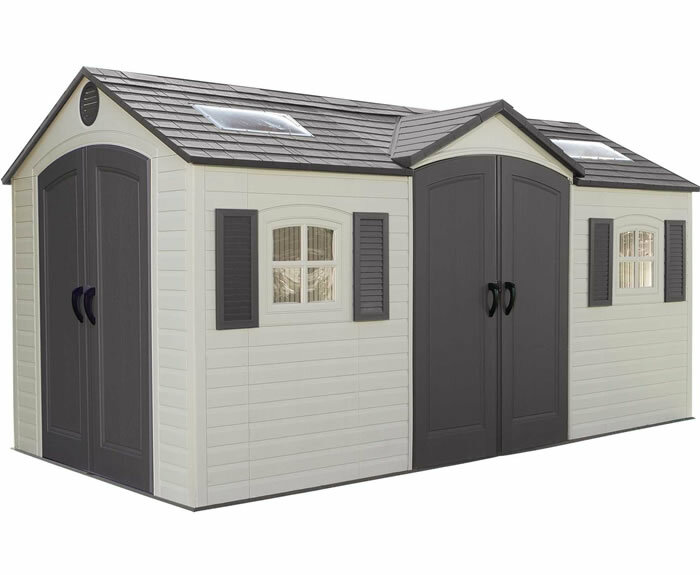 Add this shed extension kit to any of our 8 foot Lifetime sheds to extend your new plastic storage shed out an extra 2.5 feet! 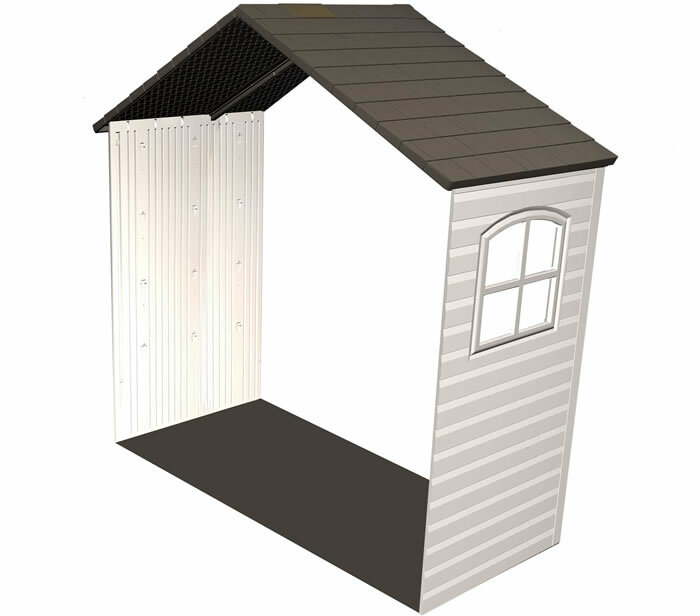 Add this shed extension kit to any of our 8 foot wide Lifetime sheds to extend your new shed out an extra 2.5 feet! Includes window and skylight! 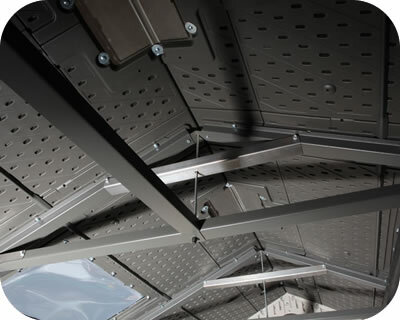 Need to expand your storage, but have limited space available? 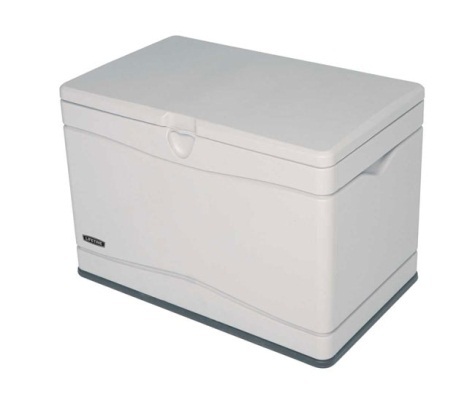 Store your things outside in a Lifetime Horizontal Storage Box. Super large swing set, almost 10 ft. tall! 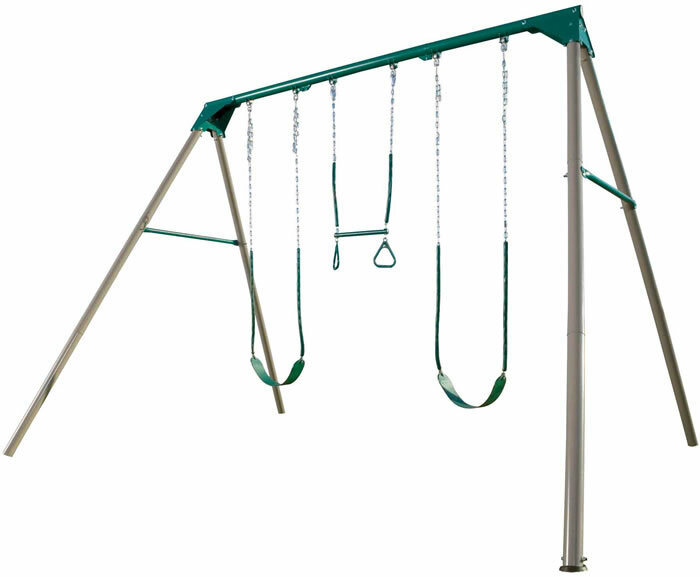 Our Lifetime earthtone swing set comes with 2 belt swings and 1 trapeze bar included!